The Madras High Court quashed the petition to ban water supply to Pepsi Co and Coca-Cola in Tamil Nadu, even as the retailers of the state have stopped selling their beverages to encourage local cola manufacturers. 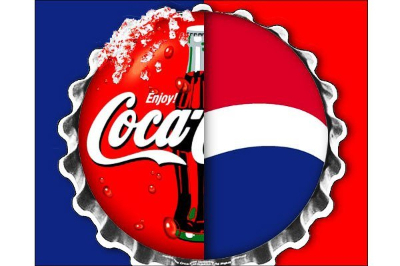 The two soft drink giants together have business of Rs 1,200 crore at stake. 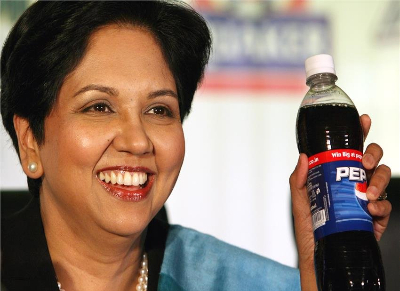 Incidentally, the boycott movement originated during the Jallikattu protest in Chennai – the city of PepsiCo CEO Indra Nooyi, who’s currently on an India-tour. What has the Madras High Court ruled? 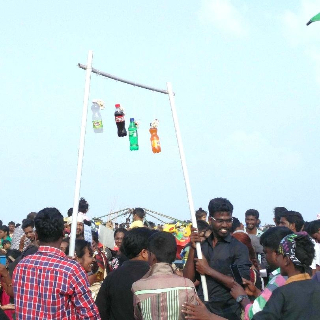 Coca Cola and Pepsi will not be banned from using water from the river Tamiraparani in Tamil Nadu, the Madras High Court said today, four months after the cola giants were stopped from using the water amid protests. A petitioner had argued that thousands of farmers are suffering as Pepsi and Coke use the river water for commercial gain. The companies, however, said they use only surplus water from the river, which is in Tirunelveli district. In 2015, several people were injured in clashes during protests over the use of the river water by the companies. Coke and Pepsi alleged that they were being targeted; their plants are part of a government industrial estate and water is being supplied to all industries. Petitioner DA Prabhakar had said in court that the river provides water for drinking and irrigation in two districts. He said in 2005, the Tamil Nadu government had granted companies linked to Coca-Cola permission to draw nine lakh litres of water every day and later doubled it. The companies, the petition said, are charged only Rs. 37.50 for every thousand litres. The court order comes in the middle of another protest involving the Colas. With the onset of summer in India, PepsiCo and Coke may be in for trouble in India’s angry state, Tamil Nadu, even as they battle falling sales across the country. Prominent trade bodies in Tamil Nadu have asked retailers not to stock brands of multinational beverage makers beginning March 01. They have cited the exploitation of local water bodies by them which has allegedly led to droughts in the state, and alleged ill-effects of fizzy beverages on health, as reasons for the boycott. The state has been facing its worst-ever drought in recent decades with over 200 farmers reportedly committing suicide due to multiple crop failure. They have instead asked retailers to stock up on local brands such as Kalimark’s Bovonto, Amrutanjan’s Frutnik, etc. The Tamil Nadu Traders Federation (TNTF) and the Consortium of Tamil Nadu Traders Association (CTNTA), having more than 20 lakh shops affiliated with them, are the two organisations at the forefront of this boycott call. However, it is unclear how many of the state’s 20 lakh (2 million) retailers have joined the call.Some supermarket chains have said they will continue to stock Coca-Cola and Pepsi brands if demand persists, media reports say. Foreign companies such as PepsiCo and the Coca-Cola Company, together, account for nearly 90% of the Rs 1,400-crore beverage market in the state. Such diktats, if followed by the retailers, could severely affect the two cola majors which have five bottling plants in the state. Why has this boycott suddenly got takers in Tamil Nadu? Until now, the anti-globalisation lobby has never been able to feasibly boycott multinational drink brands because there has always been too much demand for them. The traders' body had made a similar move earlier in 1998, but it was foiled by the higher customer demand to these brands of soft drinks. But this time they are confident that they would be able to garner support from the public in large after seeing the students' movement. This is an unlikely and unrelated fallout of the Jallikattu protests earlier this year that centred on keeping local traditions alive – and paralysed parts of Tamil Nadu. The local associations and unions — having raged at multinationals for decades, and spurred on last year by a ruling by Madras High Court to ban PepsiCo and Coca-Cola drawing water from the Thamirabarani River, which is now back before the courts — jumped on public anger towards what they viewed as globalisation trampling on their traditions. 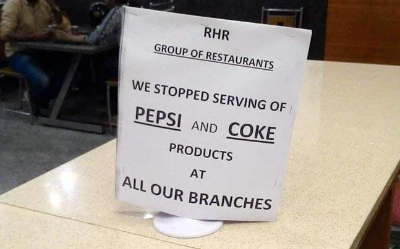 There is evident support now for their wishes, displayed under the guise of concern for public health in the face of sugar-laden products.The ban does not, however, apply to locally manufactured sweetened beverages. 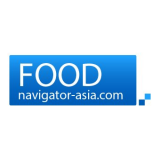 "Protesters have said that they will not consume any soft drinks manufactured in the US. Therefore, as a sign of respect to Jallikattu protesters, we have decided to ban the sale of Pepsi and Coca-Cola in Tamil Nadu,” said AM Vikramaraja, president of the TNVSP union ahead of the protest. "We are not opposing it just because these products are made by the MNCs. But it does more harm than good to the body. We decided to boycott because of the harmful content," he added. "Now the time is ripe for the boycott. Students and youths who protested for jallikattu created a conducive atmosphere for enforcing a boycott," said T Vellaiyan, president of the TNTF. Since when are these cola giants doing business in India? Coca-Cola entered in India in the year 1950 but chose to exit the country in 1977 after the Governments’ new law of dilution of equity of MNCs. October 24, 1993, marked the second coming of Coca-Cola into India. What Tamil Nadu is doing now has been done by the central government four decades ago.After Coca Cola left the Indian market due to problems with Indian Government, the Indian Government decided to start a local brand to meet the demand for soft drinks in the country. Pure drinks group was started by Padma Sri late Sardar Mohan Singh in 1942, and in 1950 they started bottling Coca- Cola across India. In 1978, when Coca Cola left India, they started bottling their own brand ‘Campa Cola’. Thums Up was introduced in 1977 to offset the expulsion of The Coca-Cola Company from India. The Parle brothers, Ramesh Chauhan and Prakash Chauhan, along with Bhanu Vakil, launched Thums Up as their flagship drink, adding to their portfolio of older brands Limca (lime flavour) and Gold Spot (orange flavour). Thums Up enjoyed a near monopoly with a much stronger market share, often overshadowing domestic rivals like Campa Cola, Double Seven, Dukes and United Breweries Group's McDowell's Crush. Pepsico saw the opportunity to enter the Indian market after Coca- Cola departed. 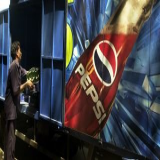 PepsiCo gained entry to India in 1988 by creating a joint venture with the Punjab government-owned Punjab Agro Industrial Corporation (PAIC) and Voltas India Limited. This joint venture marketed and sold Lehar Pepsi until 1991, when the use of foreign brands was allowed; PepsiCo bought out its partners and ended the joint venture in 1994. The Coca-Cola Company re-entered India through its wholly owned subsidiary, Coca-Cola India Private Limited and re-launched Coca-Cola in 1993 after the opening up of the Indian economy to foreign investments in 1991. As the company had returned to India after a gap of 16 years, many local brands had emerged till then.It acquired ownership in the Parle Group which gave the company instant ownership to the popular brands likes Thumps Up, Goldspot, Limca and Mazza. 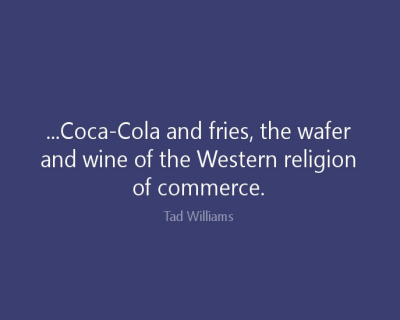 The deal not only gave manufacturing, bottling, and distribution assets to Coke but also a strong consumer preference. Access to 53 of Parle’s plants and a well set bottling network, gave Coca Cola Company an excellent base for rapid introduction of the company’s international brands. According to 2012 reports, Sprite had a market share of 14 per cent while Thums Up had a 15 per cent share. Following the two Coca Cola brands, Sprite and Thums Up, was Pepsi, which had a 11.2 per cent market share. 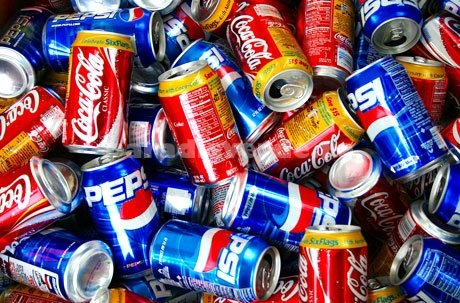 Brand Coke itself followed Pepsi with a 7.5 per cent share. Several other brands such as Fanta and Mirinda with a similar share of the market as Coke jostle for the fourth place in terms of share. Note: Parle’s decision to sell Thums Up to Coca Cola is often cited as the worst decision ever made by an Indian company. Thums Up continued to be more popular with Indians in spite of the entry of Pepsi and Coca Cola. Where lies the evidence for health effects of cola? While the fizzy cola drink is loved by most people in the world, an Indian scientist has now shown what Coca-Cola does to your body up to an after you gulp it down, and it is not good. On his blog Truth Theory, Niraj Naik has outlined the health issues and alarming findings, News.com.au reported. 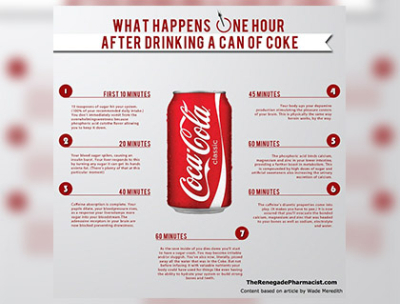 In the first 10 minutes, a person consumes around 10 teaspoons of sugar (100 per cent of the recommended daily intake), and though the level of sweetness should make one vomit, the phosphoric acid cuts the flavor allowing one to keep it down. After 20 minutes, the body's blood sugar spikes giving an insulin burst and the liver responds by turning sugar into fat. Caffeine absorption is complete by 40 minutes after which pupils dilate, blood pressure rises, and as a response liver dumps more sugar into bloodstream. After 45 minutes, the body boosts a person's dopamine production stimulating the pleasure centres of the brain, which is physically the same way heroin works, and after an hour the caffeine's diuretic properties come into play. The buzz dies down and person starts to have a sugar crash. He said that if people cared about their heart, health and mind then they shouldn't reach for that bottle of Coke (or Pepsi). Further, the caramel coloring in sodas like Pepsi and Coke is made by reacting sugar with sulfites and ammonia under high temperatures. Byproducts created with this process include the compounds 2-methylimidozole and 4-methylimidozole, which are known carcinogens, but the US FDA (drug regulator of the United States) still allows this product to be used widely. A single can of Coke contains 64 milligrams of caffeine, roughly two-thirds a normal cup of coffee (about 95 milligrams). This might not be a huge problem for adults.But for kids, caffeine can be dangerous, leading to sleep pattern disruption, increased anxiety, hyperactivity and stomach problems. Who is visiting India as Tamil Nadu protests? The boycott call comes at a time when Indra Nooyi, PepsiCo’s chair and chief executive officer, who incidentally hails from Tamil Nadu, is on a week-long tour to India to discuss investment proposals. This visit has no relation to the protests and was planned much earlier. After reaching Mumbai on Feb 28, she met the local team headed by D Shivakumar, chairman and CEO, PepsiCo India. PepsiCo and the Maharashtra government entered a letter of intent for mutual collaboration in skill development of workers in food processing plants, besides mordernising Industrial Training Institutes (ITIs). The American multinational corporation also proposed to create an integrated citrus cluster in the state to improve the livelihoods and security for farmers over the long term, the company said in a statement. 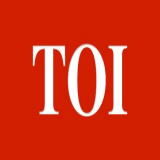 Later, in a meeting with chief minister Devendra Fadnavis, she reiterated her company’s commitment to invest further in the state, the statement said. PepsiCo India has already invested Rs 180 crore in a citrus processing facility in Nanded, Maharashtra. With the Mumbai leg completed, attention has now shifted to New Delhi, where Nooyi will spend the rest of the week, reviewing operations and meeting government officials. Pepsico is headquartered in Gurgaon, Haryana. She is learnt to have pitched for a lower GST rate on healthier beverages during her meeting with Finance Minister Arun Jaitley yesterday. On her list is a crucial meeting with Prime Minister Narendra Modi, with whom she is expected to discuss PepsiCo’s investments in the country, her drive to cut sodium and sugar in food and beverages, and the government’s remonetisation drive. How much water do these plants really use? Water is a primary component of making a cola drink. But it is not the only use of water in the manufacturing process. PepsiCo claims that from seven to eight litres of water required per litre of beverage about 10 years ago, today, with the help of technology and reuse and recycling, it has brought the use of water to under 3 litres per bottle of Pepsi. And Coca-cola claims that for every 2.7 litres of water it takes, it produces one litre of product. But, the amount of water used to make cola, referred to as the ‘water footprint’, is much more than the water used in the bottling plants. Cane sugar is a major component of these cola drinks in India, and as one of the largest procurers of sugar in India, Coca-Cola is well shy of achieving any balance with the water used the production of its sugar sweetened beverages. The India Resource Center has worked with communities across India to stop bottling operations in water stressed areas, and the campaigns have succeeded in forcing the beverage industry to become more water efficient in its operations in India and internationally. However, the beverage companies continue to operate in water stressed areas, prioritizing proximity to markets over availability of water and hardships caused to the community as a result of operating water intensive industries in water stressed areas. The campaign has called for an end to all bottling operations in water stressed areas – regardless of whether groundwater or surface water is used. “As long as Coca-Cola and Pepsi continue to operate in water stressed areas in India, they will continue to face opposition from the community and farmers. We need to ensure adequate water for drinking, which is a fundamental human right, as well as for farming which is the source of livelihood for most Indians, before water can be diverted for unnecessary and unhealthy products such as Coca-Cola and Pepsi,” said Amit Srivastava of the India Resource Center, an international campaigning organization. Most of these soft drinks are made at local bottling and canning plants in strict accordance to their secret formulas and their required manufacturing procedures. Firstly, the bottles get cleaned, steamed and sanitized to rid them of any dirt and debris. This is done by jet streams and water. Now, in a room full of bags of sugar and buckets of caramel coloring, the cola is bottled using four different steps. First, pure water is put in the bottle by a machine, after that, refined sugar is added to the mix. Then, the sugar water gets the company’s secret formula mixture and some caramel coloring. A machines shake the bottles up a bit to make sure everything is mixed together well. After everything is mixed together, carbon dioxide is added to the mix to make the drink fizz.